Who doesn’t love BACON? 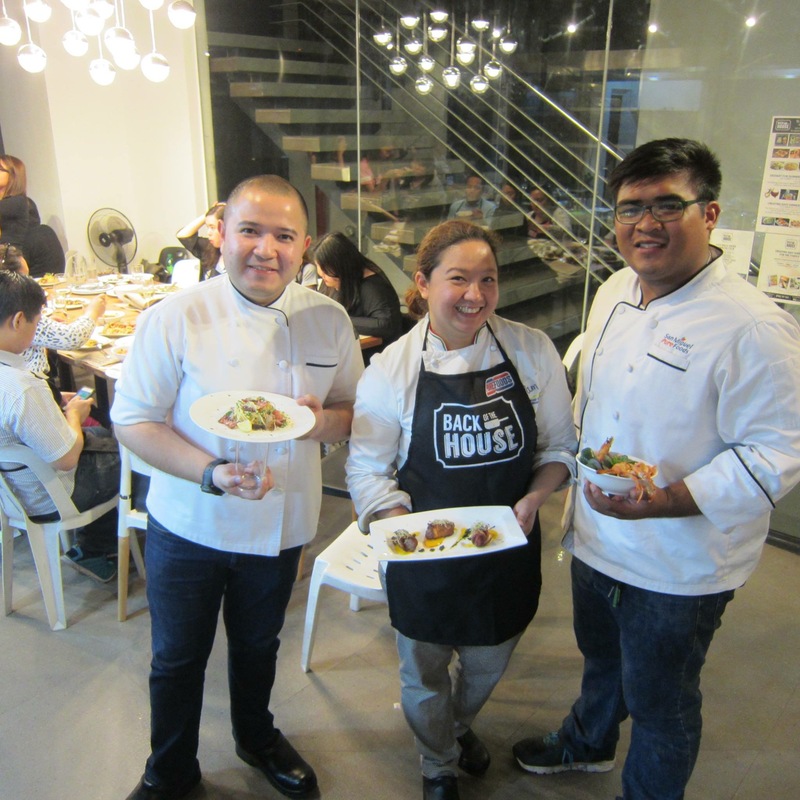 When I was asked to attend a Bacon Night Cooking Class by Bacon Fest Manila, who can honestly say no to that? It is BACON!!! 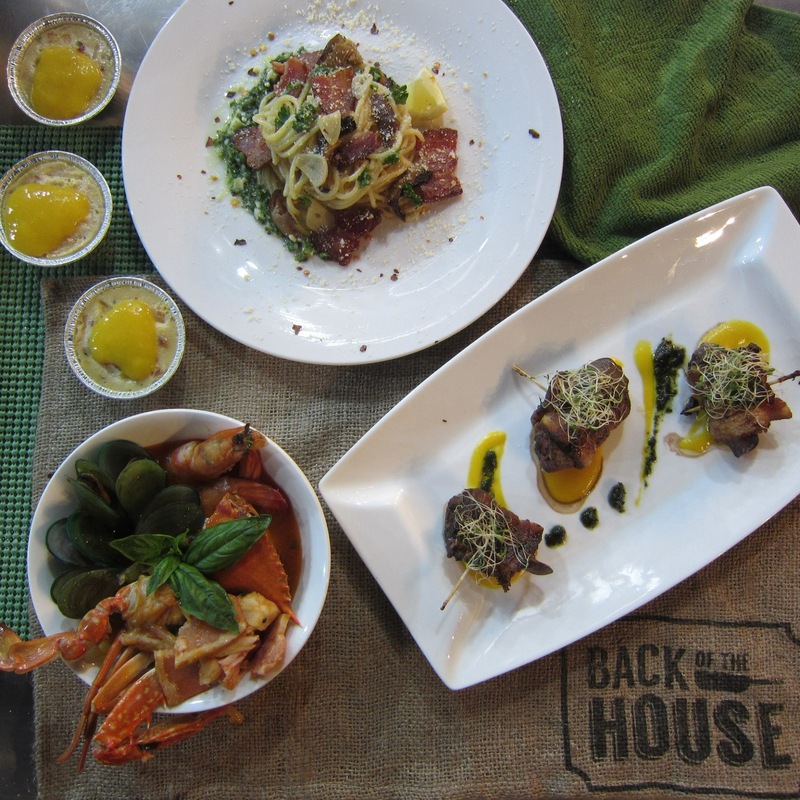 Secondly, I am very curious about “Back of the House”. 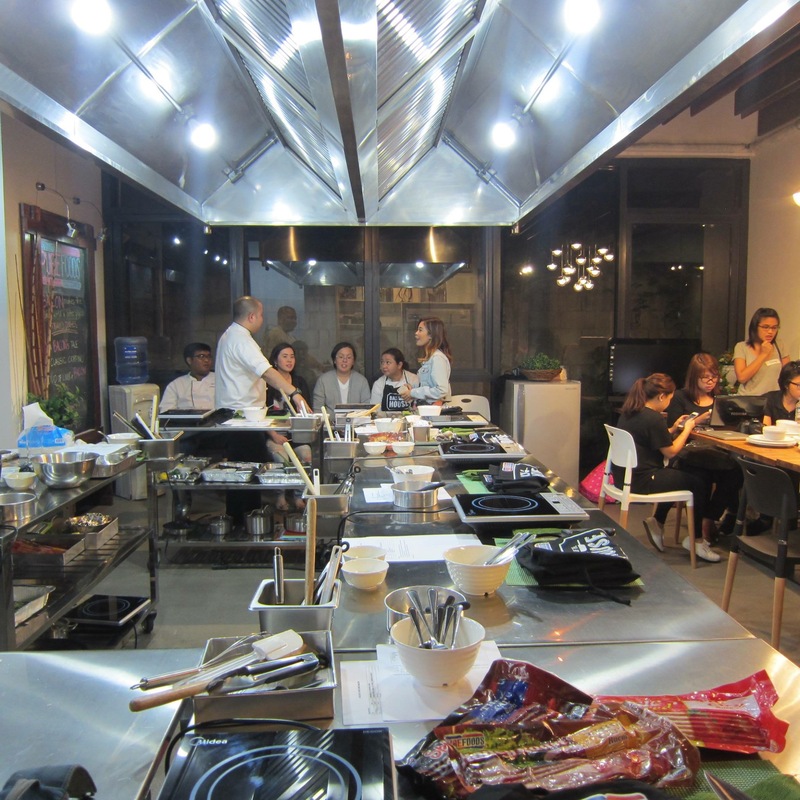 From what I know, this is for me the first “for rent” kitchen concept in the country. More about that in a while, but first… BACON!!! 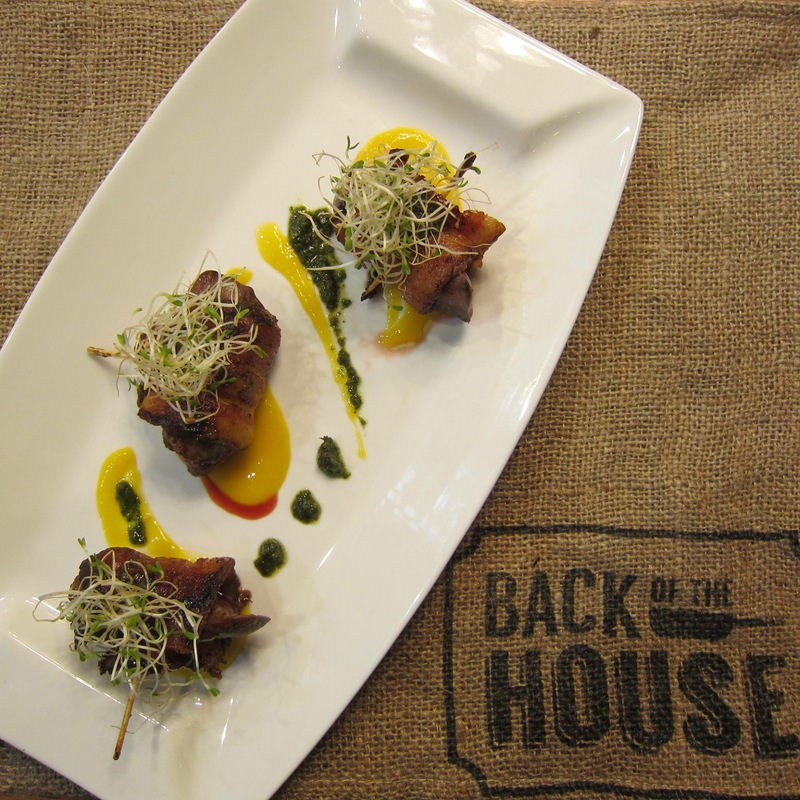 Our first dish was “Duo of Liver and Bacon”, the chefs thought since everyone or many people hate liver, why not combine it with something everyone like… Let’s say BACON, to make it more palatable. 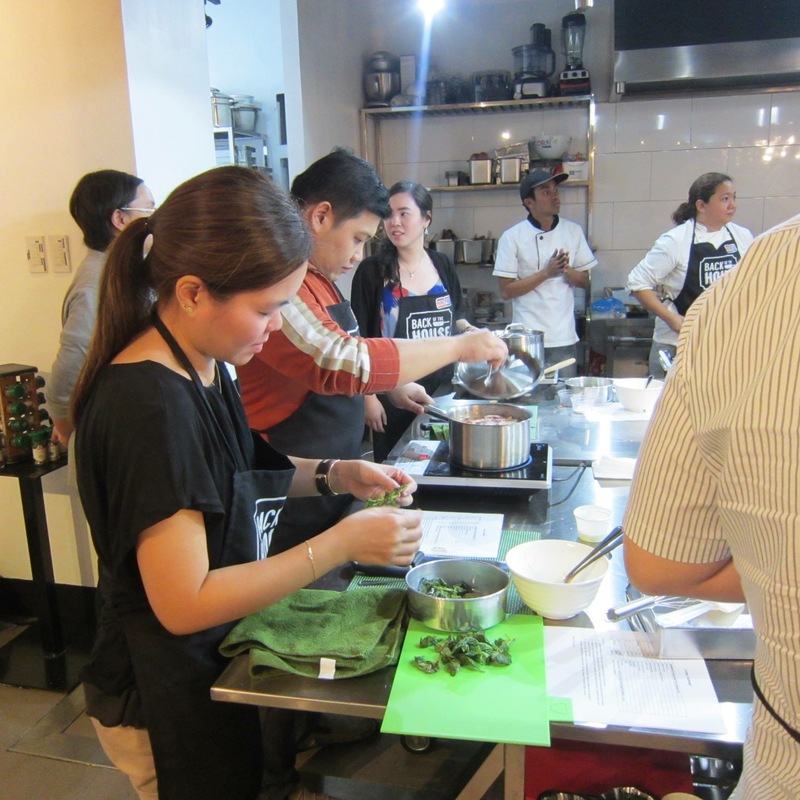 The mango puree and basil added some hints of acidity and fruitiness to the dish that made it exciting to eat. 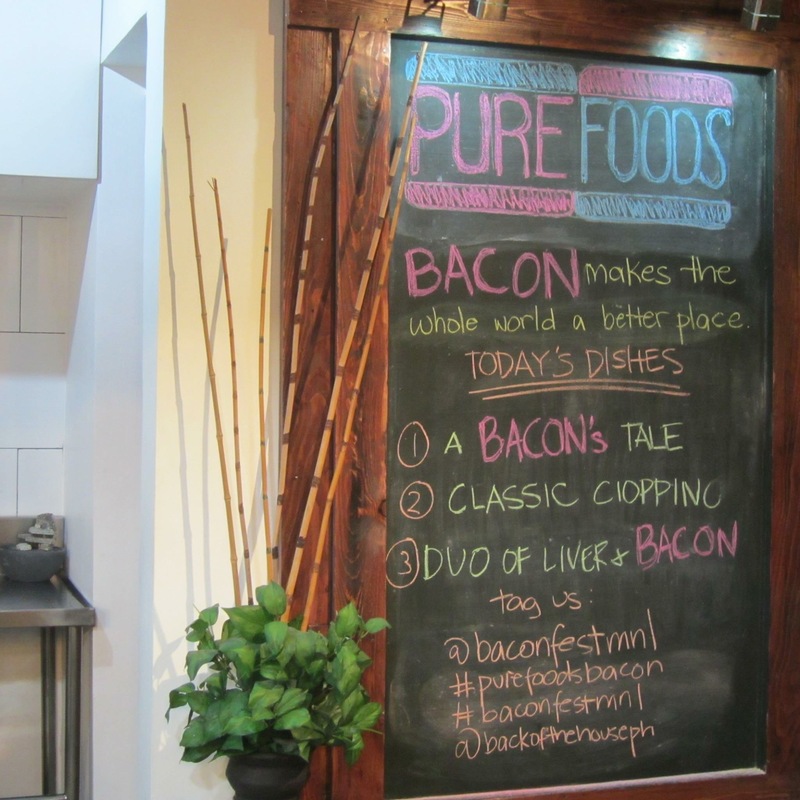 Here we used Purefoods Thick Cut Spicy Barbecue Bacon, and paired it with Muscato White Wine. Our second dish is a Classic Cioppino. Cioppino is Italy’s counterpart to French’s Bouillabaisse. Both dishes work with the same base, bacon or lardons, seafood, diced tomatoes, fish fumet/stock or chicken stock. The basic difference between the two is the flavoring. Cioppino uses Basil to enhance the flavors, while Bouillabaisse classically uses Saffron, and/or Pernod. Likewise, both dishes can be regarded as a soup or as a stew. 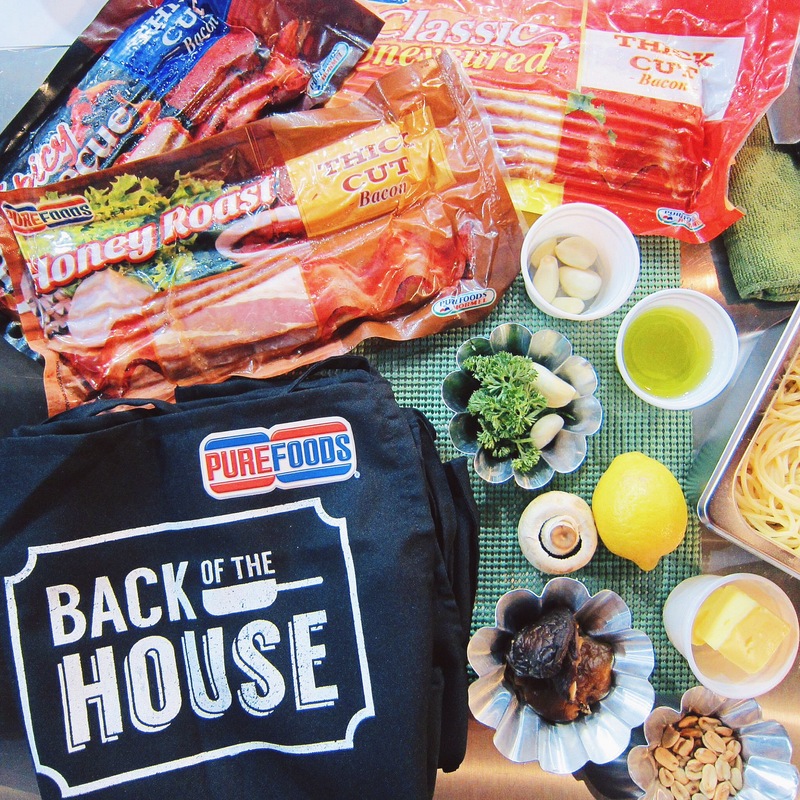 For this dish, we used Purefoods Honey Roasted Thick Cut Bacon. Back of the House, is basically a kitchen space for rent, with equipment, appliances, helpers already included. The kitchen is basically the center of the entire space, it is also adjustable to suit the client’s need. 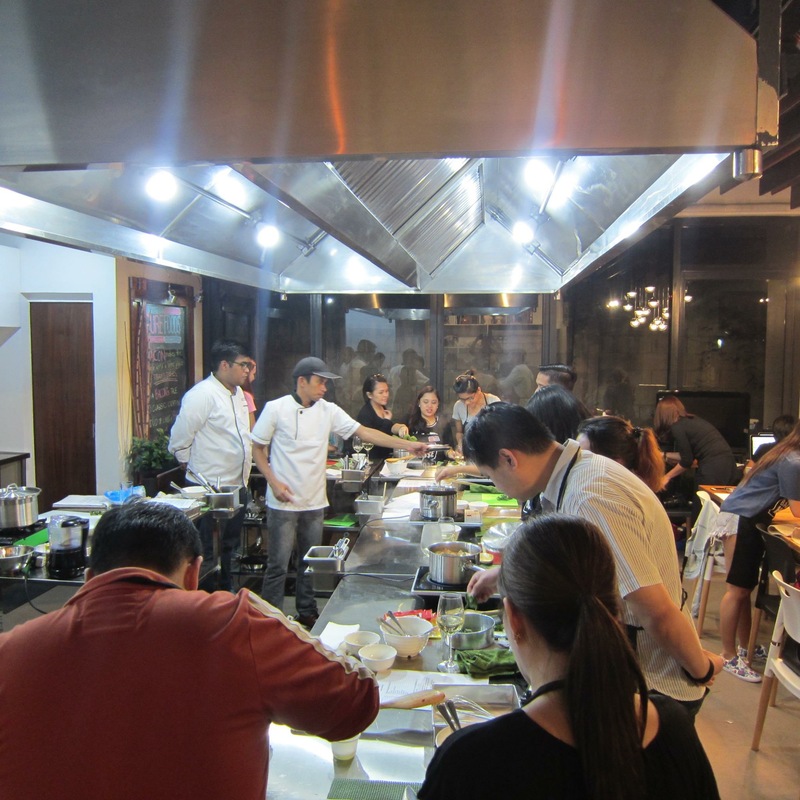 That is why it is a perfect place for hosting cooking classes, dinner parties, kitchen R&D’s, and the like. 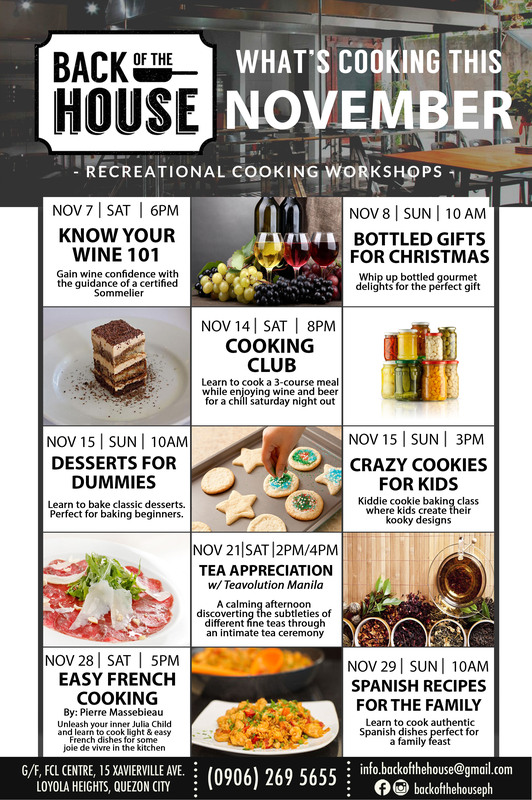 As for the moment, they conduct weekly recreational cooking workshops during weekends.